Busk Break is an ongoing field recording series documenting live performances by busking musicians and other street performers. *We tip participating buskers, so your tips are directly going to support live street music and the hosting costs for this site. Weekly Busk Break updates in your email! Street Rockstars: Busking videos from around the world. The Busking Project: Fantastic documentary project about busking. Busker Central: Massive and comprehensive online busking resource. 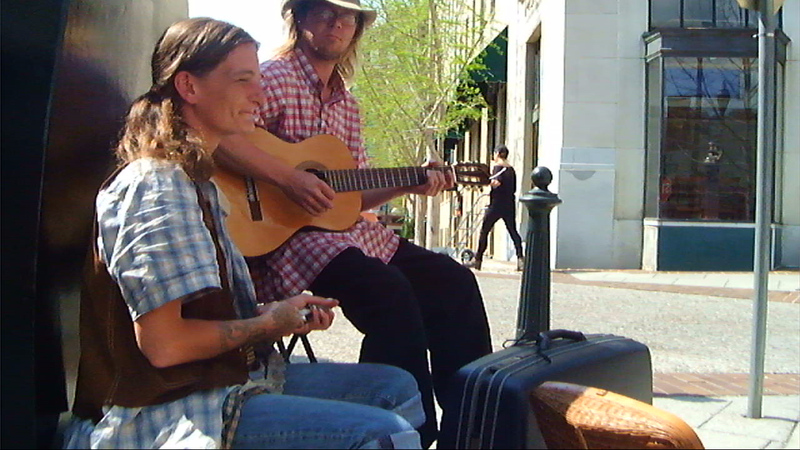 Busk Break favorite Abby The Spoon Lady performs the classic tune “Old Joe Clark” with Jimbo Lockhart on the streets of Asheville, NC, in 2012. For those of you who love Abby’s music, we’ll be posting more from this session, including some unseen tunes, in future posts. In addition to being an outstanding busker, Abby also has a fantastic YouTube channel of live performances.